Robust aluminium body providing good shock abscission and protection of the hoist components, this increases working life. Ability to interchange 1t swl hoist units to operate at 2t swl with minor modification. Internal Geared Limit switches for highest and lowest hook positions. Chain bags are easy to fit and change out. Lightweight, robust aluminium alloy covers fully enclose mechanical and electrical components. Easy installation and service access. The impressive closed height provides for low headroom applications. With the gearbox lubricated for life the lodestar electric hoist provides excellent service and maintenance solutions. All units come fully certified and our Columbus McKinnon trained staff can attend site to meet all requirements when hiring this hoist. They are come with full LOLER certification. We advise that structural calculations are carried out on all beams and supporting steel work by qualified engineering departments to ensure safe operation. 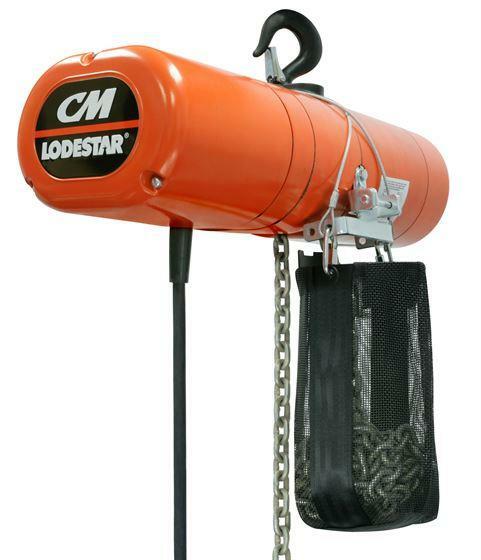 We stock a fantastic selection of CM Loadstar electric hoists. 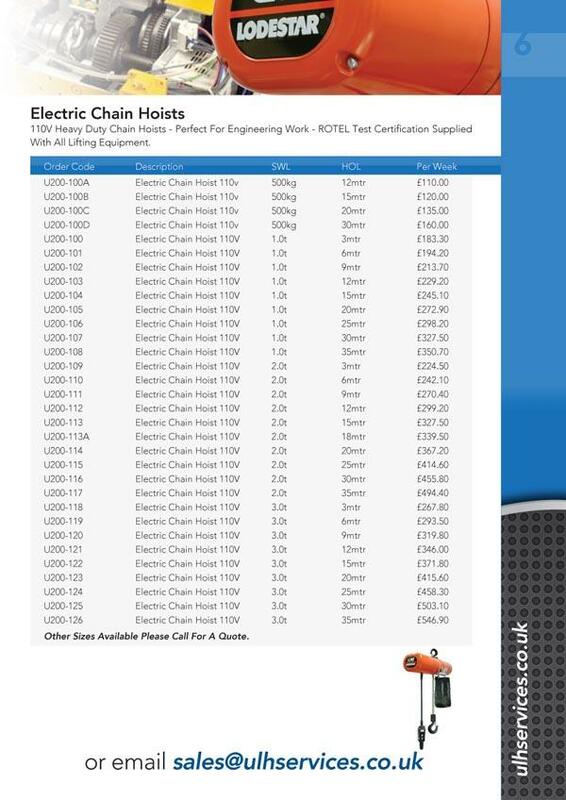 The Lodestar electric hoist is the only choice when it comes to a required power supply of 110v single phase hoist. Designed to keep working in the toughest of applications. Proven to be a winner in the Lift industry where a high duty rating allows intense operation and also an extra long height of lift.